False & Universal Foundations. Suggestions for improvement would be valued. We considered in a number of steps why this chart is such a strong symbol of our collaborative work these last 15 years. It has attracted many people to enter into collaborative dialogue. Yet encouraging commitment to shared exploration and application remains a major task. Three Book reviews in one Feb 2 Saturday Newspaper extended our understanding of the magnitude of that task. We need every reader’s participation in tackling it. 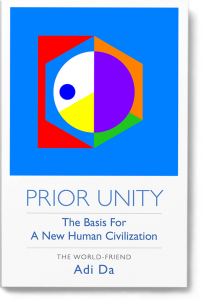 Another early reference pertaining to the Atlas was Adi Da’s description of "PRIOR UNITY". By "prior". is not meant "previous". It is not pointing to some past "golden age" of unity on Earth. Rather, of the inherent, or "a priori", unity of existence - the primal, irreducible state of being in which the world and all things continually arise and pass away. This original state of being, is, by its very nature, one and indivisible, regardless of the apparently separate happenings that arise within it. The 12 Crumbling Foundations, sent last week with notice of this workshop need details for improvement – are you able to help? SECONDLY: We then examined the nature of the evolving planet in the early pages of the Atlas under these headings…..
d] HUMANITY IS CASTING A LONG DARK SHADOW p 16/17 . 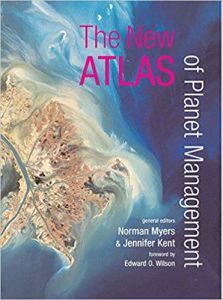 We concluded that THE FOREWORD AND THE EPILOGUE TO THE ATLAS ARE BOTH REQUIRED READING IN OUR CAUSE – AND WILL BE FORWARDED ON REQUEST. All these sources call us to connect with a passionate and global community of other change makers, spiritual seekers, entrepreneurs, scientists, artists, and healers. There are now a myriad of opportunities to deeply connect with others including facilitated conversations, intimate groups, coffee shops fora and meal time conversations. Thus might we break through preconceptions, tap into uncharted wells of wisdom, and build a launchpad for a future towards which we can together! [‘The Possibility Accelerator’]. ALL OF WHICH WE BROUGHT INTO FOCUS ON OUR STRUCTURED SOCIETY IN THIS IMAGE OF SOCIETY.